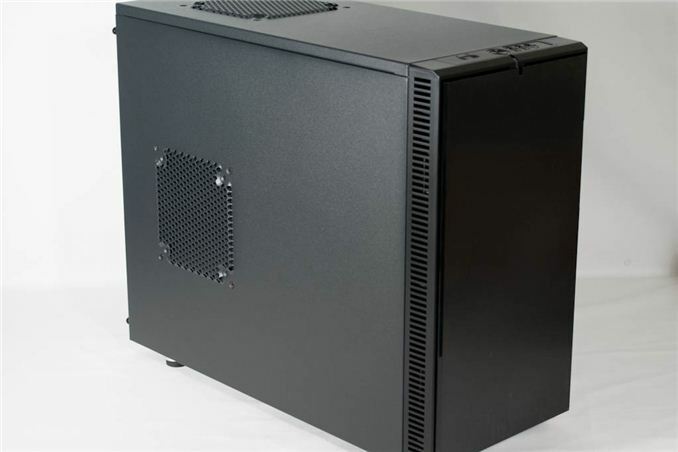 I have this case, it has a high build quality and very quiet - not the best cooling in stock form, true, and I think that is due to weak intake design and the damping material acting as insulation. I get little airflow even without the middle drive cage installed, my RAM gets pretty toasty - definitely been the source of a few crashes. I have a Corsair H70 (blowing out), a triple fan GTX670, and fanless 500W PSU which all run within comfortable temps. My system is just about silent under the desk which was my goal, I think with one more fan the system would run plenty cool but as you will see in my next comment the spot where a fan would do the most good for me is unusable. One design flaw, at least for me, is the location of the side panel fan cutout - it's too far towards the back of the case and because of this I cannot put a fan here as it interferes with my H70 radiator. If it was a little farther forward this would not be a problem and would also put it in a better location to cool the mobo. Two comments about the review - first, do you REALLY care about built-in standoffs? IMO it's a tiny "upgrade", it saves about 2 minutes max the first time you build a machine. Second, I was able to route all of my cable behind the mobo from the included fans & controller... barely. It IS doable but you may need to cut some wiring sheaths and get creative with routing. 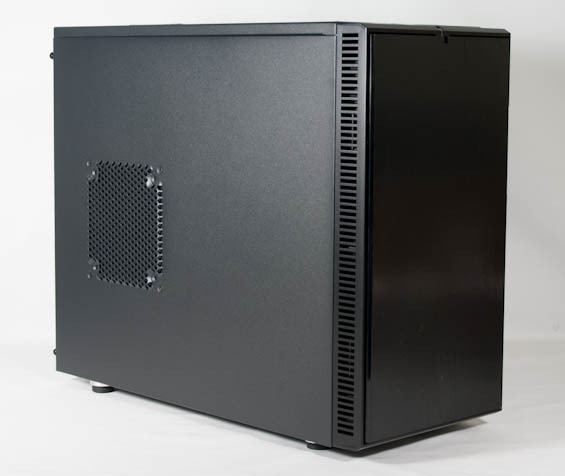 It is for mATX motherboards but it is not small case, my other mini tower case with ATX board inside is only about 1 cm taller than Define Mini, including standoffs. Only cons with this case is irritating bright blue LED (I assume also red LED in white cases), it burn eyes, nothing minimal here as article suggest. Don't need to mention LED suspend mode blinking or bright blue LED when watching films in dark room. I used a Define Mini for my most recent build. Totally silent under my desk. Very sturdy and looks good. I have been very happy with it. Only pet peeve is I wish the front door swing were reversible (PC sits to my right but door swings open to the left).